Back in August I met with the CEO of Atari and in the middle of an interview he dropped some pretty ludicrous news on me—"You will hear a lot more about Asteroids in the next few weeks. It's a PC game. It's going to be a survival game on the asteroids." Yes, Atari is indeed working on a reboot of a 30-plus year old arcade game where you play as a triangle. Or, actually, Atari is publishing said reboot. Today, we got the first official details on Asteroids: Outpost, "where players mine, build and defend their base and grow their fortune as they go 'from rocks to riches.'" That pun came straight from the press release, I swear. It sounds like your standard survival game: "While on a massive, unforgiving asteroid, players face the challenges of exploring the asteroid, collecting resources, scavenging for ore, crafting equipment, and expanding their territory as they build highly customized bases." Oh, except because it's Asteroids you'll also have to protect your base from asteroids raining out of the sky and demolishing your base. "Asteroids is one of the most iconic titles in Atari’s portfolio of more than 200 games and franchises, and we’re looking forward to ushering the game into today’s digital gaming era," said Atari CEO Frederic Chesnais in the press release. "We’re paying homage to the original Asteroids by incorporating classic features such as asteroid blasting capabilities, while introducing a completely new premise and gameplay." 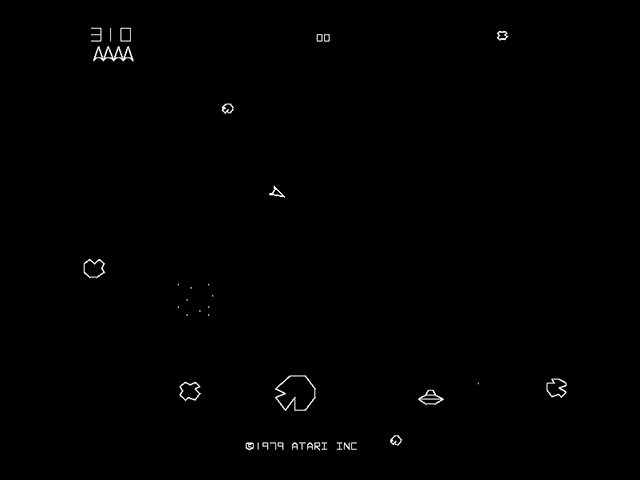 For reference, here's your Asteroids source material. Yeah. I don't even know. It sounds insane. But I'm also kind of interested? You can follow the development at the official site (which should be launched by the time you read this) or you can waste your entire afternoon playing Blasteroids courtesy of the Internet Archive.